Some people may wonder why the Potosi School District is experiencing such an increase in open enrolled-in students. The district believes it is because of the staff being so warm, friendly, and positive. “We know that, because we had a family engagement audit last spring and that’s what they shared with us. We also believe that the district has a positive reputation because of feedback received from one of the parents of an open enrolled-in student. The parents moved to Platteville from another state to teach at UW-P and called to open enroll their child to Potosi. When they were asked why they were deciding to open enroll here, they said they’ve heard so many positive things about our district and wanted their child to be a part of that,” said Potosi District Administrator Ron Saari. Now, the Potosi School Board is considering an operational referendum where they will be asking the citizens of Potosi and Tennyson, as well as the surrounding townships within the Potosi School District boundaries, to consider approving additional support for the school's operations and programming by raising property taxes. Saari said that there are three reasons for the operational referendum. First, the district needs to maintain its programming and be able to compete with neighboring districts. As of now, Potosi School District averages 9.2 openings per year for staff. This year it was 7, but the year before, there were 13 new staff members. Annually, that is an average of 18.2 percent of staff turned over. The state average is around 6 percent. “The pool of candidates has dramatically decreased over the past 6 years, and the competition between districts to hire quality staff has increased. Our focus is to be able to keep the same amount of programming and to keep our teachers working in Potosi instead of transferring to a neighboring district,” said Saari. Second, the district wants to follow through with their plan for an operational referendum because they know that they need to invest in their tech ed. and agriculture programs. The last time they put money into such programs was over twenty-five years ago. In today’s job market, there is a high demand for workers in manufacturing and the trades, which are the areas the school plans on enhancing. Potosi School District wants to invest over $150,000 in equipment and training in their industrial arts and agriculture programs. “It is our hope that students that don’t want to go to college or aren’t able to go to a tech school would be able to graduate from high school having earned an industry certification in an area of their interest. That could be welding, machining, electrical, plumbing, you name it. Our goal is to provide as many of these certifications as possible,” said Saari. This referendum would also include growing the youth apprenticeship program where juniors and seniors leave campus to gain experience in the workforce. The third and final reason for the proposed referendum is that the district needs to invest in its capital maintenance fund. They would like to place at least $45,000 per year into this fund to be used strategically for them to maintain their buildings and grounds. “It’s our hope that by doing this, we wouldn’t have to go to a facility referendum again,” said Saari. In the last five years, 15 of the school districts in CESA 3 have passed these types of referendums, which is 48 percent of the 31 school districts in CESA 3. In the last ten years, 23 districts in CESA 3 (74%) have had to pass these types of referendums to maintain the programs they offer. The last time the district passed this type of referendum was twelve years ago, and if history repeats itself, they may have to do this type of thing once again in another twelve years. The operational referendum would require taxpayers to pay no more than an additional $29 on a $100,000 home or piece of property in property taxes. Other districts have done similar operational referendums and needed taxpayers to pay anywhere from $75 up to $550 on a $100,000 home. The school board believes that its proposed $29 tax increase is very reasonable and fair, especially when compared to the increased taxes other districts in Southwest Wisconsin are paying for their operational referendums. Over the past five school years, the district had to cut over $455,000 from its budget. This includes eliminating positions such as an art teacher, counselor, math teacher, and elementary classroom teachers, as well as restructuring their food service program from four people to two, reducing the bus routes from 6 to 5, and several other cost-saving measures to maintain a balanced budget. Over the last 7 years, the district has lost 30 students, and their revenue limit, which is the maximum amount of dollars a district can have to operate, has decreased by over $900,000. The amount of state aid the district receives has decreased by over $600,000 over that same time period. An interesting statistic: last year, the district had 54 open enrolled-in students. Of those 54, 7 moved into the Potosi School District boundaries over this past summer. 54 open enrolled-in students equals 16 percent of the district’s total student population. 1 out of every 6 students does not live within the district's boundaries. This year the district has 52 open enrolled-in students. The open enrolled-in students are very valuable to the district because each one of those students brings in $7,055 a year in additional revenue. When the number of open enrolled-in students is multiplied by $7,055, it generates over $380,000 of additional revenue for the district. The district’s improved facilities are another reason why they believe parents are choosing to come here. When parents are touring and “school shopping”, they share many positive comments about the school facilities, including the auditorium. Potosi’s excellent special needs program, which they’ve had for quite some time, may also be bringing in students from other places. Lastly, a positive student body with kids of character is probably one of the biggest reasons why parents are enrolling their students at Potosi. 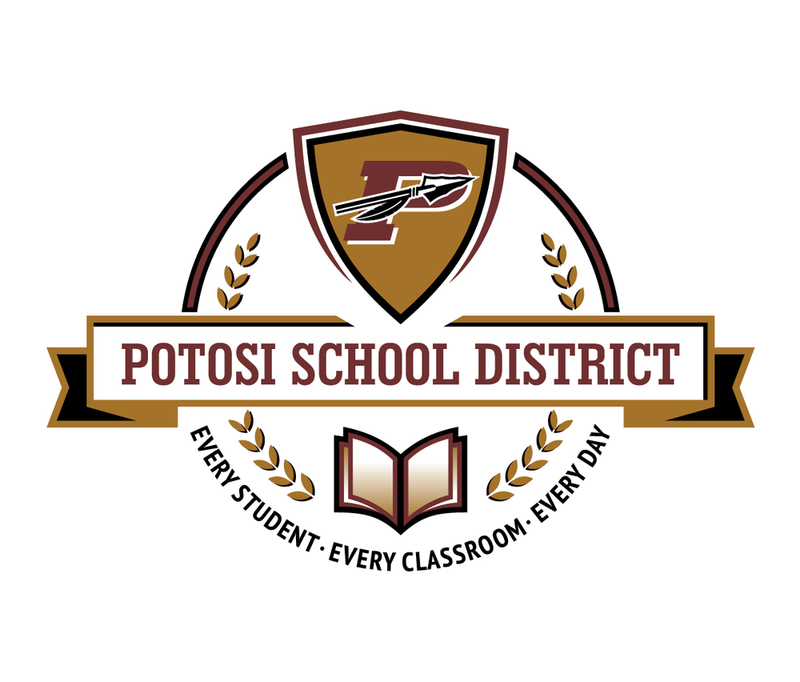 “Every school may have some students who make poor choices, but the students at Potosi School District, for the most part, are very well behaved and polite,” said Saari. After discovering several unknown problems with the building during the recent facility referendum, the district knew they had to address those problems. The replacement of the roof above the cafeteria was unexpected, and in fixing this issue, they had to hold back other planned projects they had intended to do. As of now, the only thing being accomplished at the school, grounds wise, is the dumpster area in the student parking lot, which is getting a touch-up. During the summer, Jamie Pierce put gravel under the bleachers and installed a french drain by the softball field. The janitorial staff also relocated the high school teachers’ lounge to the old counselor's room. In the future, once funds become available, the district would like to flip-flop the current biology room and the foods room, which is often used for concessions. They plan on doing this to make the student section in the gymnasium more accessible. If this plan were to go into effect, a doorway in a wall in the biology room would have to be created to provide access to the old weight room, which could end up being new restrooms for events in the gym. The Potosi School District is asking for only the essentials with this referendum, no frills included. The district hopes that the taxpayers trust them, knowing that they are managing their money in a prudent and efficient way, and that their community will approve this much needed operational referendum. The referendum is scheduled for Tuesday, April 2, 2019.